JV Conto - professional template online - Shop for Joomla 1.5 developers JoomVisiom. 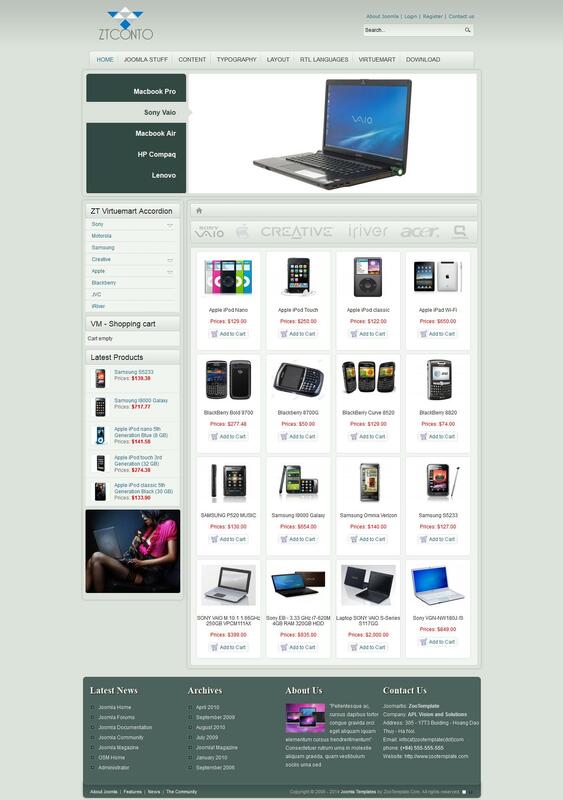 Perfect design template is perfect for creating a store offering computer equipment, mobile and tablet devices. Multifunctional component VirtueMart online sale of goods includes a huge set of tools to implement full purchase goods directly on the site. Each client has a personal cabinet shop, where available statistics for each order. The structure of the template includes additional extensions developer, which ensure a comfortable and clear demonstration of the goods on the site. This template is perfectly optimized, fast loading and supports all versions of browsers.